Congratulations Science Fair winner, Brittany Wenger! Brittany Wenger’s Science Fair project was to teach a computer how to read tissue samples from fine needle aspirations. 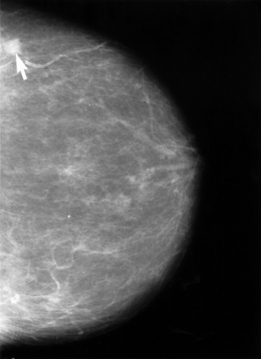 Fine needle aspiration is a way to look at the cells in an actual lesion discovered by palpation or by mammogram. If positive for malignant cells, it can provide more information about the cancer to guide decisions about treatment. Her Global Neural Network Cloud Service for Breast Cancer is said to be able to successfully detect 99.11% of malignant breast tumors. In comparison an article on PubMed describes results that vary from 2-25% inaccuracy based on the experience of the physician reviewing the tissue. Greater accuracy in diagnosis from minimally invasive procedures can help prevent the necessity for more invasive procedures, like large-sample biopsies which may carry all the risks of surgery. Google Science Fair project link. Previous PostMy Mastectomy TattooNext PostHealthy Cream of Mushroom Soup!